From a 24×7 radio news stream to a revamped global English news channel, the Prasar Bharati-run public broadcasters are set for a fresh direction. 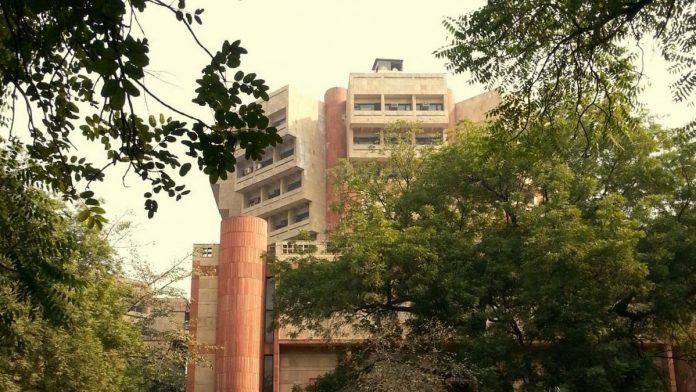 New Delhi: Private media houses may be gearing up for the launch of several new media ventures before the Lok Sabha elections, but India’s national broadcasters All India Radio (AIR) and Doordarshan (DD) are not far behind. They, too, will launch a bunch of fresh platforms in the next few months. Highly-placed sources from I&B ministry told ThePrint that AIR plans to launch a 24×7 news stream in the next few weeks, while a revamped version of DD India, to be positioned as an English news channel for the global audience, will be air on “very soon”. The sources said that the much-delayed DD Arun Prabha — a dedicated channel for India’s Northeast, alongside the existing DD North-East channel — will also be launched within a month. DD Arun Prabha, with a focus on Arunachal Pradesh, was announced in the Narendra Modi government’s first budget, and was slated for launch in January 2016. Sources in the AIR said a 24×7 news stream has been in the offing, but the national broadcaster could not identify a transmitter for the channel, so the plans were delayed. The plan is for the new stream to broadcast news bulletins in primarily in English and Hindi. Prasar Bharati CEO Shashi Shekhar Vempati told ThePrint that the stream will live within the next few weeks. “AIR did not have any such channel. News bulletins were broadcast sporadically in gaps across the AIR network,” he said. A 24×7 news stream, officials said, will help expand the reach of AIR news significantly, running parallel to AIR’s recent decision to share its unaltered news feed with private FM channels as a pilot project. FM radio channels are currently not allowed to produce and broadcast their own news bulletins, so the move will help the wider dissemination of AIR news, since nearly 235 private radio stations across India have already registered with Prasar Bharati to source AIR news content. Besides this, Prasar Bharati News Service, a 24×7 digital platform to disseminate news for the global audience, is also set to begin in the next few weeks, government sources said. Conceptualised along the lines of BBC and CNN in 2017 by a panel headed by Prasar Bharati chairman A. Surya Prakash, the digital platform will broadcast international news to a global audience to counter anti-India narratives in the foreign media. Reports say the platform will be an app-based interface that will offer services in multiple languages and put out news in the form of text, video, podcast and alerts. Doordarshan and AIR, funded by the Information & Broadcasting Ministry, have often been criticised for toeing the government line.